Happy fall, everyone! The heat in North Texas has finally broken. Since I run an ice cream parlor, I should probably be distraught that our record-breaking summer didn't last just a smidge longer, but even I'm relieved we're only nosing into the 80s every day. Granted, business was good enough this summer that I was finally able to replace my rust-bucket display freezer. But now we're all entitled to a breather. It does mean, however, that we're switching things up at the Remember the A-la-mode. The autumn flavors (cinnamon, maple pecan, pumpkin spice, and caramel apple) have made their way into our brand spankin' new display freezer. We've got a crock pot of spiced cider mulling behind the counter now, and when the mercury dips into the 50s at night, that cider starts calling my name. One of my favorite things about autumn is homecoming at Dalliance High and Dickerson U. The parades and football games are fun, but more than that, I love seeing old friends reunited. I never actually left Dalliance, but I still treasured homecoming. Those of us who stayed, we open our arms (and our homes) to those who left. We get to hear about their adventures. And we get the wonderful reminder that Dalliance is, after all, home. This last weekend was homecoming for Dalliance High. We decked out the A-la-Mode in crimson and gold, the school colors, and made up a special "Touchdown Sundae" (red velvet ice cream with caramel sauce -- it looked ghastly but tasted incredible) and offered free "Extra Points" (sprinkles, whipped cream, cherries, and nuts) on every dish. My cousin Bree came up with a great promotion. If the high school kids came into the store wearing their homecoming mums, they got a discount based on the length of the streamers: 5% per foot. She made a special measuring stick that goes all the way to six feet, and we made a big show of measuring the mum and cheering when the length was announced. For two of the senior girls, the measuring stick wasn't long enough; I just gave them their ice cream on the house, figuring they needed the calories after hauling those big ol' mums around all day. Then, Saturday night, Bree, Finn, Cal, and I went to the game. My man snuck a kiss under the bleachers, and the Wildcatters won. All in all, the whole weekend was perfect. What about you? Do you love autumn? What's your favorite part of the season? 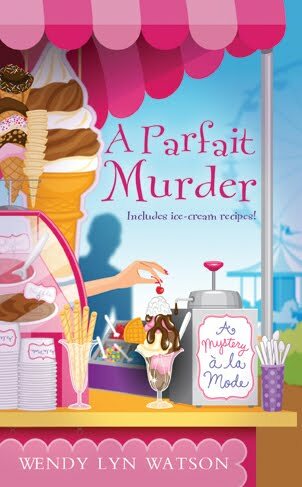 Find out more about the ice cream at the A-la-mode and life in Dalliance, Texas, in I Scream, You Scream, Scoop to Kill, and A Parfait Murder. And be sure to visit Wendy on her website and on Facebook. I love the crisp nights of autumn and the misty pastel mornings. I love the colors -- all those bright reds & oranges. We have a lot of maple trees around here. I also love the sunny, crisp days. May we have many of them this year! Great post! I felt I was there in Dalliance with you! BTW, we hardy northerners eat ice cream in any weather. I just might drop Remember the a la Mode and get ... hmmm. So many choices. I adore autumn's colors and flavors, esp. pumpkin pie, which I could eat year-round. Mmm. And I wish I was in Dalliance, too. 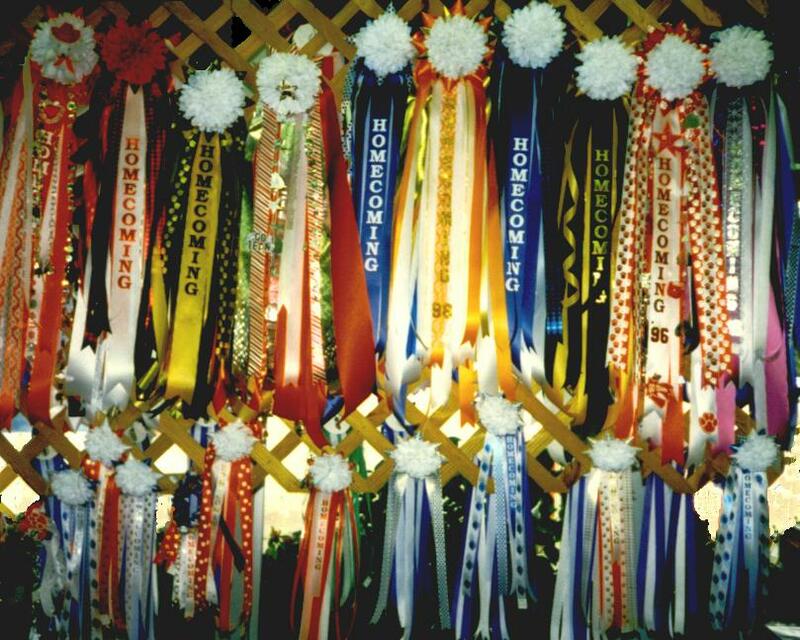 Would love to see those homecoming streamers. I love wrapping myself in a blanket nestled on my couch reading my latest mystery. Caramel apple ice cream! I want some! I'll stop in at Remember the A-la-mode if ever I am in Dalliance.